Yellow sapphire is the gemstone of the beneficent planet Jupiter or Guru, which signifies financial prosperity, good fortune, and fulfillment in relationships, great wisdom, and a robust health. A positively placed Jupiter in your horoscope can be a guarantee of a happy and prosperous life, with success in all aspects of life, including business, education, and relationships. The planet Jupiter is linked with business, bringing profits and success for the native if placed in an auspicious position in his horoscope. It is believed that Jupiter is indulgent and generous in nature, which implies that it will give you everything you want, once you have been able to invoke the blessings of this powerful planet. A dhana karaka by nature, Jupiter ensures lifelong wealth and prosperity for the native. Being the mightiest of all planets and the Educator, Jupiter enhances the intellect and decision making powers of the native, helping him to take his business in a positive direction. 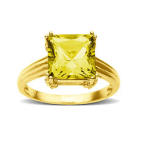 It is believed to reside in the treasure room, which is the reason why it is considered beneficial to place yellow sapphire gemstone in the cash box of the business, as it has the ability to attract wealth and profits for the business. Therefore, it becomes imperative for a native to appease this planet, particularly when he is facing a low phase in business as there is a big possibility that Jupiter can bring his business back on track. The Yellow Sapphire gemstone is very useful in the business field as it guarantees success. Pukhraj gemstone amplifies the wealth and success in all endeavors. It is recommended that yellow sapphire is best for your personal as well as professional growth and success. As we have seen that a well-placed Jupiter can take your business to new heights, you need to devise ways of attaining the beneficial effects of this mighty planet. Wearing an untreated and unheated yellow sapphire is the remedial measure for improving the profitability of your business. Yellow sapphire represents the planet Jupiter and brings all the cosmic energies of this planet, like wisdom and good fortune, for the wearer. The gemstone is the bearer of financial success and good fortune. It can bring knowledge and a new perspective for the wearer, which can take him a long way in his business pursuits. Yellow sapphire is considered suitable for people engaged in the trade and business of yellow colored commodities, such as gold, jewelry, turmeric, yellow colored cloth, bronze items, wheat, and wax. People who are in the professions related to teaching, astrology, writing and artistic careers can also benefit from this gemstone. 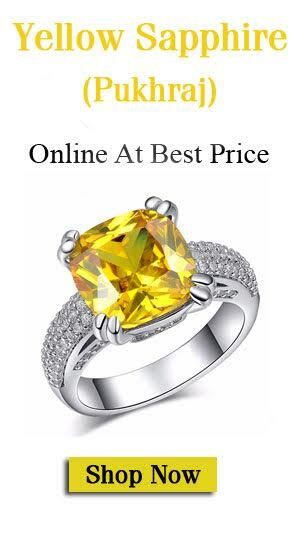 Buying a good quality natural yellow sapphire can help you get both stability as well as prosperity for your business. The only thing to be kept in mind is that you have to consult an astrologer to know whether wearing this gemstone is suitable for you or not and also about learning about the rituals of wearing it. Once you are able to get the blessings of Jupiter with the help of this gemstone, there will be no looking back for you in your business. Be sure to check the pukhraj stone price. Therefore, the planet of Jupiter has to be appeased by running a profitable business, which can be done by wearing a good quality yellow sapphire gemstone. 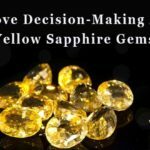 Such stones are quite rare to find, but now you can easily buy a certified yellow sapphire online, from portals like yellowsapphire.org.in. Sapphire is the birthstone for September. It is the stone of wisdom.